A new feature here at the Drag Racing Imagery website is the debut of "Bring Em Back Alive". 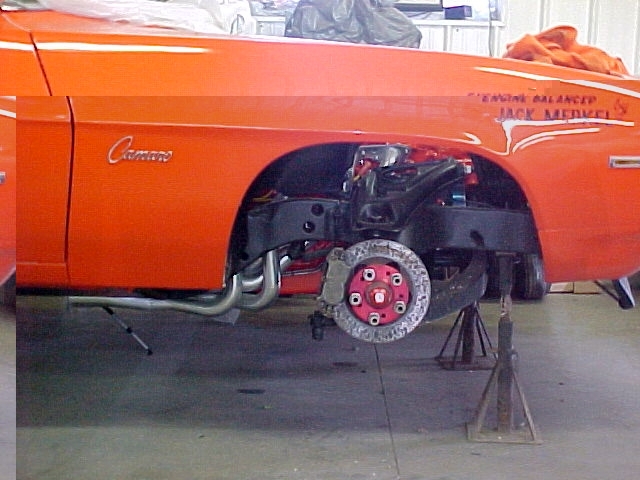 This section will focus on the recovery and restoration of drag racing vehicles from the past. From time to time, I get requests from restorers whove just purchased an oldie but goodie and they are in need of reference photos to help them along in the restoration process. In my travels, I come across a lot of people who are in the process of restoring a car. When I find out about the cars they are restoring, I will add them to this part of the site. I will include their e-mail addresses and phone numbers so that if you can, you may be able to contact them with any pertinent information they might need to help them along with their restorations. If you know of a car that is under restoration and is in need of some help, pass it along to me and Ill post it here. Photos are welcome as well. 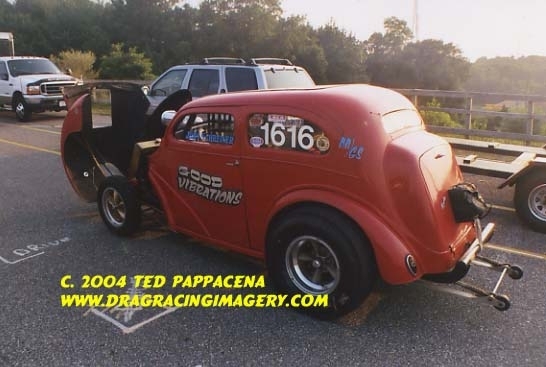 Vinnie Musicaro of Seaford, Long Island is in the process of restoring Jack Merkels 1933 gold Willys gasser. Finally this beauty will be back in action. However, Vinnie is in need of interior photos to help him along. He can be reached at 516.679.9146. Attached is the early photo Good Vibrations (early photo) of my Anglia given to me by the seller. It looks like an early 70's photo. Jack Olcott thought it looked like National Speedway. I also attached a photo of the car in Good Vibrations form but with the scoop and headlights shown in the earlier picture. The wheels in the early photo are the same ones now on the car. The tilt nose hinge plates and locking pins and the style of the top chop further authenticate the early photo. Several people have commented that the top chop looks like a west coast job. The infomation I was given about the car being built by Sacks and Milanese was wrong. 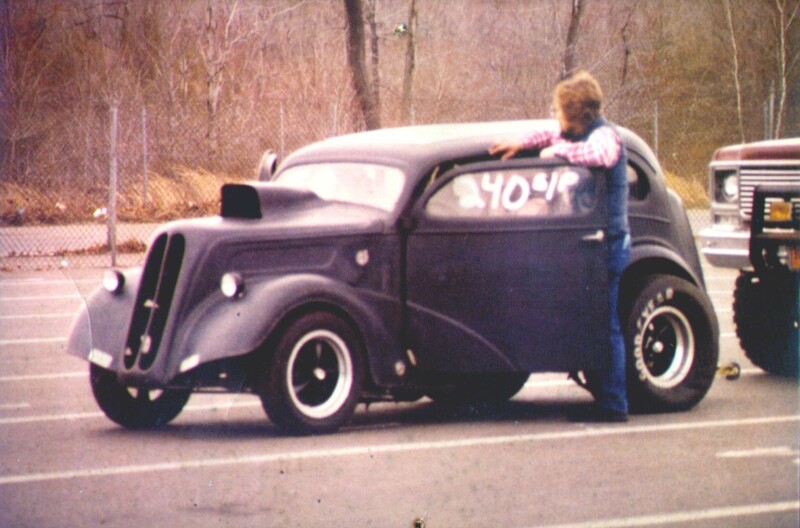 That car is now owned by Jack Oviatt, an East Coast Gasser member. If you can help John, contact him at jnsvette@optonline.net . Chris Loy of North Carolina owns the Sayanora Barracuda . He is going to restore the car but needs all the information and photos he can find to help his project. Chris has the help of his brother-in-law Bill Chatfield. If you have any information, contact Chris at chr_sloy@yahoo.com and Bill at 919-361-2514. Keith Burgan aka The Roo Man from the land down under has 2 restoration projects going. First up is the 1970 Soapy Sales fueler that Steve Carbone drove in Austrailia. 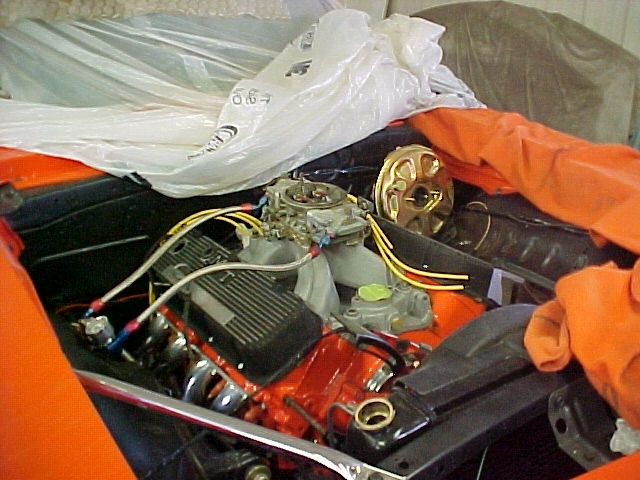 Tha car was originally the Mr. Lucky that was pictured on the cover of the January 1970 issue of Hot Rod with a 426 Pink Elephant and Kelly Brown's name on the cowl. It never ran in that form and actually made its first run in Australia with one of Huff's 392 bullets in the frame. He acquired the car from the Dustman brothers from northern Ohio and has slowly been collecting parts to restore it. Recently he purchased the former Trojan Horse 1971 Mustang body that Frank Jonkman ran a couple of years ago. Once the dragster is done, the flopper will be next. On his dragster wish list are a Powers & Reilly reverser and a M/T mag third member for an 8 3/4 Chrysler rear ( I know, the proverbial rocking horse crap). Later he will need a Buttera chassis for the Horse, an independant front end, and a quick change rear. If you can be of any help, contact Keith rooman@tds.com. 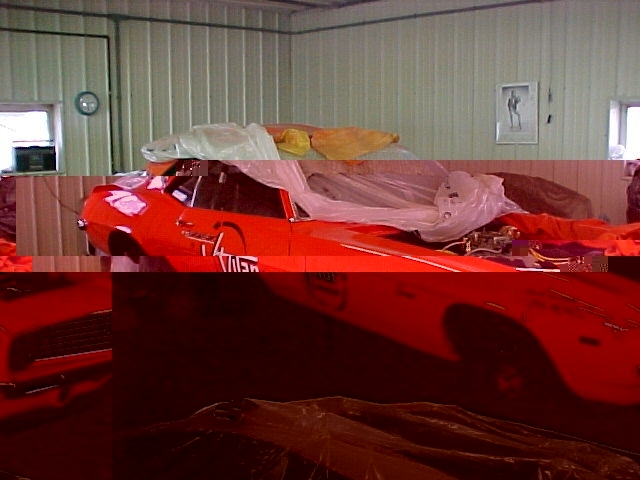 John Robertson, Corona Ca In July 2005, I purchased the 1970 Challenger funny car of Marv Eldridge. 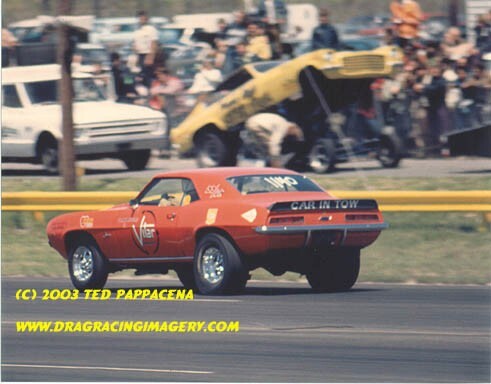 The car was the Fred Goeske Roadrunner from 1969. 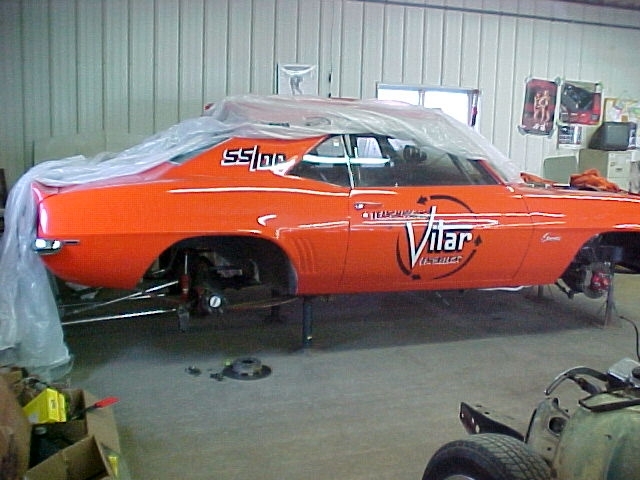 Marv removed the body in 1970 and put the Challenger body on the chassis. I am looking for the Roadrunner body. I am also looking for photos of the Challenger with the body up to see the engine and chassis.